Middle East and North Africa holidays conjure up images of exotic deserts and bustling souks, accompanied by heady aromas of spices and oud. Both regions offer an inimitable fusion of cultures, set amongst varying backdrops of mountains, desert and the ocean. Experience these incredible destinations in the lap of luxury. Embark on an adventure with the family and explore the cinnamon sands of the desert, via quadbike or camel. Indulge in opulence and find yourself in a state of constant awe in some of the most unique cities in the world. Or choose a romantic retreat to a resort nestled between craggy mountains and unspoiled beaches. Holidays in the Middle East and North Africa are favoured by those who want to experience true decadence. Explore its labyrinthine markets and terracotta courtyards; only a short trip away from incredible resorts, offering ultimate rest and relaxation. Dubai is a city like no other. Spectacular skylines are the backdrop to azure blue seas and immaculate beaches. Splurge in the incredible malls, barter in the old town’s souks and finish the day with a delectable meal at a Michelin starred restaurant. Visit Oman for an idyllic holiday. Its laid back culture fits in well amongst impressive sand dunes and the glittering Gulf of Oman. 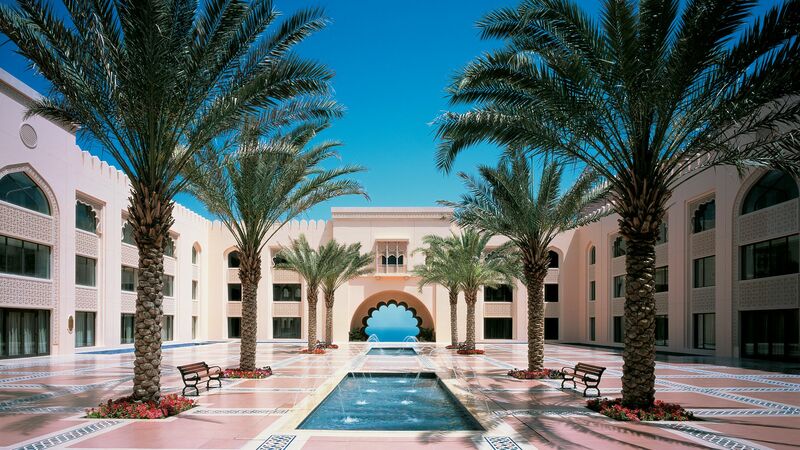 Year round sunshine and exotic, romantic views makes Oman a fantastic choice for a couples’ getaway. Morocco offers a wealth of history and culture, reminiscent of a time gone by. With its busy markets, opulent guest houses and delicately seasoned food, there is so much to experience and enjoy. 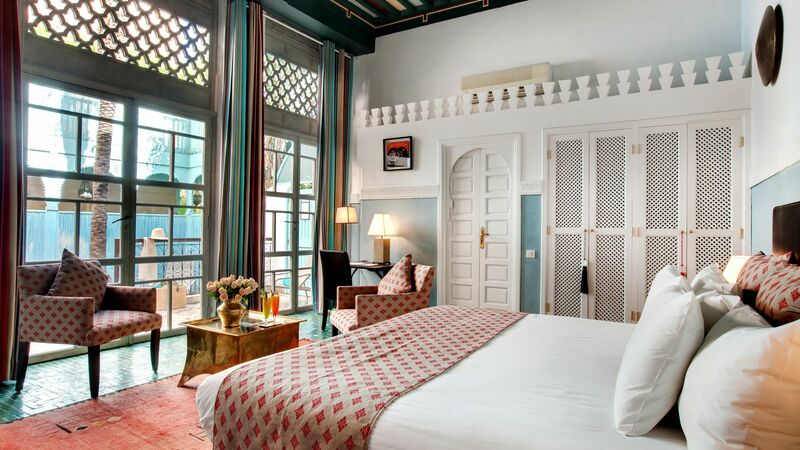 Book a tour of Morocco with Sovereign and witness the hustle and bustle of Marrakech and the laid back seaside vibe of Essaouira. 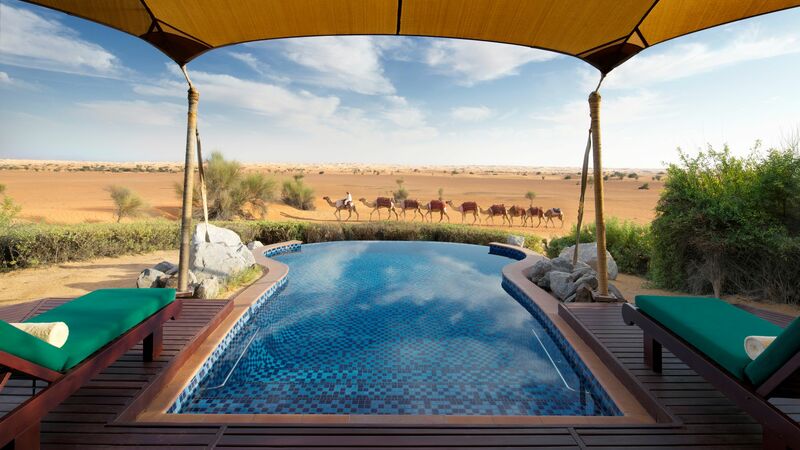 Luxury holidays in the Middle East and North Africa are abundant. Boutique hotels are flecked across mountain ranges, offering incomparable views, while palatial resorts sit next to stunning mile long coastlines or on the edge of vast ochre deserts. Sovereign has over 45 years of experience when it comes to offering bespoke luxury holidays. Our Trusted Advisers have exclusively visited hotels across the Middle East and North Africa that are the pinnacle of luxury. Take the children to the enchanting Fairmont Royal Palm for an unforgettable family holiday just a short distance from bustling Marrakech. Couples should choose the sorbet pink Shangri-La Al Husn Resort & Spa for divine opulence. And for serenity in the city, opt for Jumeirah Beach Hotel. This remarkable haven boasts its own private beach on Dubai’s golden coastline. Carved out of the desert, Dubai mixes 21st-century life with ancient Arabic traditions. Along with skyscrapers, mega-malls and supercars, you'll find atmospheric souks, cafés serving shisha and thick Arabic coffee, and Bedouin camps out on the desert sands. Distant oases, soaring mountains, spice-laden souks and ancient minarets piercing cornflower-blue skies: welcome to Morocco. Morocco is a fusion of Arabia and Africa, and lines up everything from desert scenery and vast golden beaches to bohemian seaside towns and buzzing cities. Ras al Khaimah is the northernmost emirate of the UAE, flanking famous Dubai. RAK to its friends, the picturesque Persian Coast setting has the region tipped as a serious contender to Dubai’s crown. While neighbouring emirates like Dubai and Abu Dhabi reach ever more record-breaking heights, Oman takes a step back and plugs into a laid-back element of Arab culture that can be hard to find in the fast-paced cities. Egypt is packed full of history, culture, beaches, activities and more. From the ancient pyramids and sphinx to iconic cities and long stretches of golden sands there’s something for everyone on holidays to Egypt. If you're interested in exploring some of the desert scenery, Ras al Khaimah is one of the best emirates from which to do so, with some fantastic desert safaris on offer. Ras Al Khaimah is reminiscent of Dubai 20 years ago, before it became such a popular destination. This makes it a perfect little gem for a relaxing beach holiday with guaranteed sunshine. If you do still want to visit the malls, there are two in Ras Al Khaimah, or you can take a 50-minute shuttle from most hotels to the malls in Dubai.